enriched in your understanding of our awesom-azing God—the Living God who’s beyond awesome and beyond amazing. Are You Walking Closely with the Living God? Nothing can compare to walking through life with God through His Son, Jesus Christ. And to deepen that relationship is the high Christian goal. Yet our hearts and minds can only embrace the living God by knowing who He is, as revealed through Scripture. When we do, our love for Him will grow. Our faith in Him will deepen. He will draw nearer to us. And when we encounter life’s inevitable hardships, we can rest in the knowledge of His grand character. For He is loving, knowable, merciful, righteous, sovereign, and more! Through rich Bible teachings and impactful personal stories, Awesom-Azing God will give you a devotional look at the magnificent attributes of the One who created each of us for close fellowship with Him. The readers of Awesom-Azing God are mostly men and women who follow Jesus Christ. Other interested readers are pre-Christians who want to know who the biblical God is and if He is the living God. The Believer will draw closer to God and be inspired to live full-on for His glory. The Skeptic will discover eye-opening evidence for the truth of Christianity. The Suffering Person will receive encouragement and hope. The Backslider will hear the Lord’s heartfelt whisper to return. The Unbeliever will be introduced to God’s heart of love and gospel of grace. The Shy Believer will learn how to confidently share the living God with others. The Homeless will see God’s faithfulness to a devoted believer who lived on the sidewalks. The Atheist will catch a glimpse of what it looks like to fellowship with the biblical God. The Searcher will consider drinking the living water and following the Lord Jesus Christ. The Witnessing Christian will be equipped to present compelling evidence for the truth of Christianity. Our multi-faceted God can be likened to a brilliant gemstone with perfection in every direction. 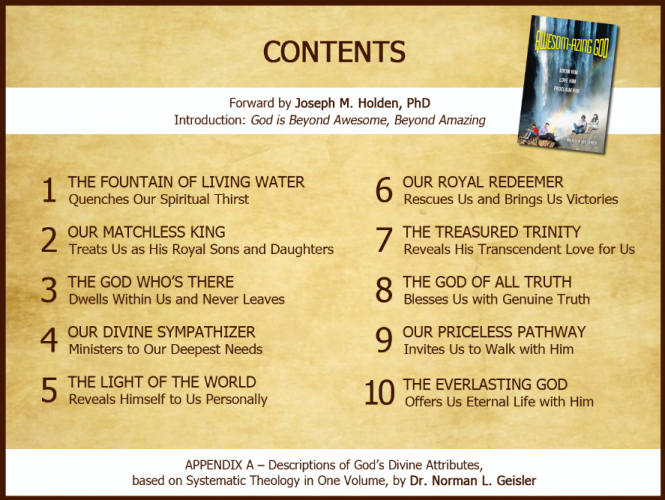 Awesom-Azing God showcases ten glorious facets, which touch on all twenty-five classic attributes of God as revealed in Scripture (and described in Systematic Theology in One Volume by Dr. Norman L. Geisler). It is no wonder that God Himself has told us, “I am God, and there is no other; I am God and there is none like Me” (Isa. 46:9). An Apologetics Emphasis – Each chapter also features eye-opening apologetics that equip believers to promote the gospel and defend the faith, so that many unbelievers will see He is the living God! God’s attributes, as described by Marilyn Tyner in Awesom-Azing God, are expressive, uniquely described, and inspiring. This devotional will draw readers to the living God to enjoy the expanding and potential explosive growth of an eternal relationship with our Savior and Lord. If you want to be captivated by the living and true God in a personal, engaging, and exciting way, this is the book for you! It is a soul-satisfying study of the characteristics of the biblical God. Given that A. W. Tozer said, “What you think of God is the most important thing about you” (Knowledge of the Holy), this could be one of the most important books you ever read. Marilyn Tyner is a rare asset in the evangelical church today. She knows her way around Scripture, is deeply devoted to God, and knows how to persuasively answer objections to faith in Christ. I have been a fan of her wonderfully written gospel tracts and was delighted to hear she was writing a devotional book. After reading through it, my delight was justified. Not only is it thoughtful and moving, but it is very well written. It will be perfect for personal devotions and very effective for group studies. Marilyn has done it again! When I first became acquainted with Marilyn Tyner, I was impressed with her passion for Jesus, her grasp of apologetics, and her love for God’s Word. At that time Marilyn had just begun writing pamphlets that succinctly captured the basic doctrines of the Bible in an accessible way. Her tracts were a tremendous asset to me in ministry and working with Bible college students. 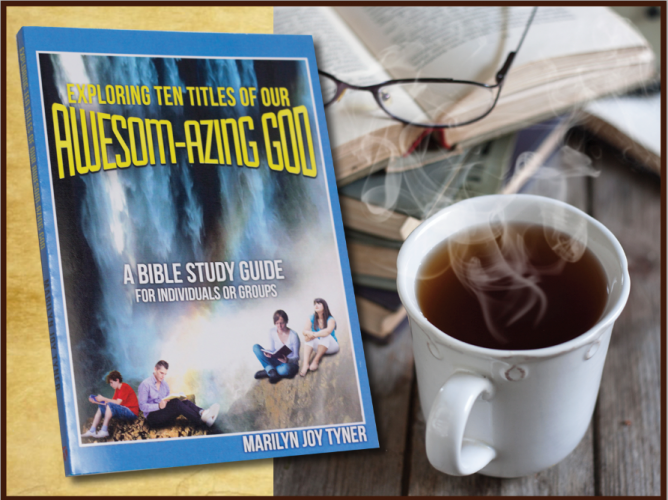 As I recently read through her devotional book, Awesom-Azing God, not only was I blessed and encouraged, but I recognized Marilyn’s giftedness in her ability to passionately describe the great attributes of our amazing Lord. 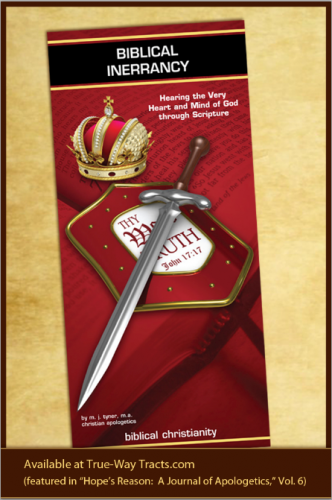 This devotional will excite, inspire, and undergird your faith as you peruse the awesome and amazing virtues of our God! Through personal and powerful devotionals, Awesom-Azing God showcases the true and living God and His attributes. Believers will be enriched in their relationship with Him and more inspired to live for His glory. The apologetics interspersed in the book will equip readers to share Jesus Christ in today’s spiritually mixed-up world. Marilyn Tyner’s work as an apologist is thorough and well thought out. Your heart will be encouraged, your faith will be strengthened, and your desire to share the gospel will be intensified as you meditate on the immutable attributes of God as brilliantly presented in this book. This timely devotion will ignite your passion to not only know our awesom-azing God better but also to passionately share Him with everyone you meet! A gifted apologist and author, Marilyn Tyner serves up a meaty, satisfying meal with delicious sauces drawn from experience—anecdotes from her own life, the lives of friends, other writers, and people in Scripture—all perfectly chosen to complement each course. She makes rich theological truths readable and imbues them with warmth, sharing herself with a transparency that draws us to her…and through her to the One she invites us to know more intimately. Until I read Awesom-Azing God, I didn’t realize how much I have been missing the deep truths of the Word of God. Marilyn expresses them in a way that leads the reader right into the throne room of our living Lord to worship Him in all His majesty. There is an awe and reverence here that I don’t often see in Christian writing. This book will bring you back to your first love, to the delight of knowing and worshiping Him in all His awesom-azing facets. This unique devotional magnifies God and His attributes by blending scriptural teachings, personal stories, and apologetics. 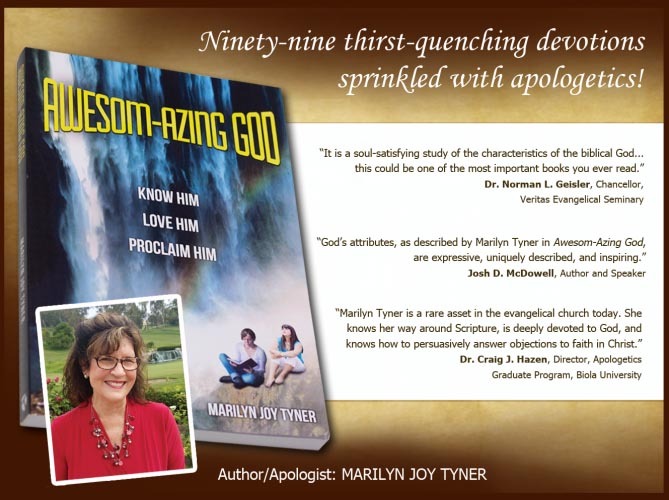 Marilyn Tyner’s book establishes that God is not just awesom-azing because Christians believe great things about Him, but because He is the true and living God! He’s the One who declared, “Let him who glories glory in this, that he understands and knows Me, that I am the Lord” (Jer. 9:24). Readers will surely come to know Him better and be drawn into a deeper devotional life. Marilyn Tyner has produced a remarkable book of great substance and powerful teaching. She is deeply grounded in Scripture and adept at translating this into useful apologetics. And this is vital—because if we don’t know the God of the Bible, we will likely create Him in our image. But this is more than a solid teaching book. It’s also a collection of true stories, by real people, about a God who is accessible to us. The Spirit of God will take her words in black-and-white print and turn them into spirit and life that will touch you deeply. I heartily recommend this book! Awesom-Azing God is sure to encourage new believers, as well as seasoned Christians, with Marilyn’s knowledge of apologetics. We use her True-Way Tracts at our international outreach locations through “Lighting the Way Worldwide” and often hear people say they want to have Bible studies and Sunday school classes based on Marilyn’s teachings. This devotional will bless the daily walk of any Christian. I wholeheartedly recommend this book! In Awesom-Azing God, Marilyn writes that “the simplest definition of Christianity is knowing God,” and she helps you do exactly that. You will find that she carefully explores God’s attributes by combining biblical truth, history, apologetics, and personal testimony, as well amusing anecdotes that make you smile as you wade through the deep theological waters this book offers. Get out your forks and knives, Christians, as it’s time to dine on some meat! Valerie Garret wrote: I find your book and workbook to have a unique approach. Your thousands of hours of work are well represented in your writing, your style, your combination of encouragement and apologetics! I doubt there are many other publications out there like yours. I hope and pray that many will be encouraged to grow more in love with Jesus, become totally occupied with His character and His work for us. I also believe and pray that “seekers” will read and desire to know Him because of your faithfulness. I even thought of a number of people I want to give it to. Thanks! Carl Leno wrote: I am grateful to be a proud owner of Awesom-Azing God. Your book is one of truth, and I have a hunger for truth, trust, and thankfulness – qualities hard to find today. I really love your book and I’m amazed by your effort and talent. I finished it in three weeks flat! The time reading it was so enjoyable and interesting that it was difficult to set it aside each day for breakfast, lunch, and dinner! Marilyn Redfield wrote: Marilyn, I’m totally enjoying your book, Awesom-Azing God. Both my husband and myself. He swiped it from me, and now I need to get it back. Thanks! Midge Williams wrote: I want you to know how much I am enjoying your Awesom-Azing God and Study Guide. Your approach to teaching the Scripture with everyday events makes our Lord’s message clear to all. I am grateful that you have shared your thoughts and experiences, providing insight and knowledge of the Word. Each day I read and re-read the devotions, and most days the Scripture references have been coinciding with my regular devotional time. I want to order eight copies of the devotional and another copy of the guide. Pat Hill, missionary, wrote: Wow! I love the book Awesom-Azing God! I am already half way through the book, and then I will go through the Bible study part. I think our missionaries in Liberia will be interested. I am trying to use the material to do my conferences for ladies in Nigeria. I love the fact that it is so biblical, so I don’t have to change it for their culture except a very few examples. Thank you so very much! Lonna Carr wrote: I love your book, Awesom-Azing God. It’s really a good read. I’m enjoying your anointed Chapter 1, “The Fountain of Living Water.” It’s like He left us a giant bottle of water to drink. But how many of us drink and enjoy it? Ada Wellema wrote: Your devotional on God’s attributes is truly awesome and beautiful in every way. I was blown away by the recommendation of many notable people. God is so faithful. He will honor your steadfastness and patience in writing it and seeking Him in all of it. You are helping all who read it deepen their walk with our Lord. I will be forever grateful. Exploring Ten Titles of Our Awesom-Azing God offers further study on God’s magnificent attributes. Jesus is the Matchless King … He’s the Light of the World … He’s the God Who’s There. And so much more! Dip your toes in the magnificent living water of God’s Word through this devotional Bible study. You will become more enamored with your Savior and energized in your Christian life as you explore ten titles of our awesom-azing God. For there is absolutely none like Him! A relatable, Bible-based, nondenominational Bible study. Ideal for individual or group study. Ten fill-in-the-blank lessons in a 5” X 7” booklet. May be used separately or as a supplement to Awesom-Azing God, the Christian Living book. 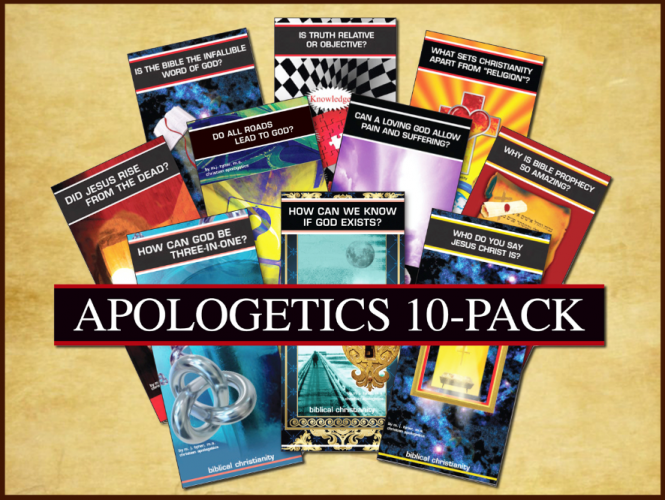 The “Apologetics 10-Pack” is a set of ten evidential briefs authored by Marilyn and produced by True-Way Tracts. They are excellent tools used for education and evangelism. These large four-fold pamphlets equip adults and teens, and especially witnessing Christians, to answer challenging questions that unbelievers ask over and over again (see 1 Pet. 3:15). How Can We Know if God Exists? Can a Loving God Allow Pain and Suffering? Is the Bible the Infallible Word of God? How Can God be Three-in-One? Is Truth Relative or Objective? Why Is Bible Prophecy So Amazing? What Sets Christianity Apart from “Religion”? Meditating on God’s titles and attributes is life changing. Our hearts can only embrace someone we truly get to know.